The following outlines contents for our Terms of Service (“TOS”). Our TOS contains information intended exclusively for, but not limited to, this website (sonomawinegrape.org). 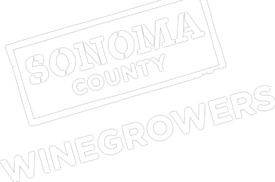 This website is owned by and represents the business of Sonoma County Winegrape Commission, DBA “Sonoma County Winegrowers”, (“Website Owner”). All policies are subject to change. This webpage will contain the active and current version of our website policies. If you have any questions about this TOS, please contact Sonoma County Winegrowers using the information provided in TOS 1.1.1. Our accessibility information was last updated: 2018-10-30. Our website was last tested for technical accessibility standards: 2018-10-30. Our copyright and credit information was last updated: 2018-10-30. This website’s design, code, and content is the property of Sonoma County Winegrowers. All rights are reserved to this business for the website’s use of design, code, and content. All copywriting and text is property ofSonoma County Winegrowers, unless otherwise specified using in-text citations. All photography is property of Sonoma County Winegrowers, unless otherwise specified using a visible citation placed near each individual image.